A Manuscript, Portfolio, or Social Media Consultation is a one-on-one, 20-minute sit down with a publishing professional. You may sign up for ONE (1) individual manuscript or portfolio consultation for an additional fee of $125. Select “Portfolio” or “Manuscript” when registering. Your assigned time will be in your registration packet that you will receive on Friday, August 3. While we can guarantee a professional reviewer, we cannot guarantee a consultation with an editor, agent, or art director. You may also sign up for an additional social media consultation. Please be sure to read the following guidelines very carefully before submitting your manuscript. 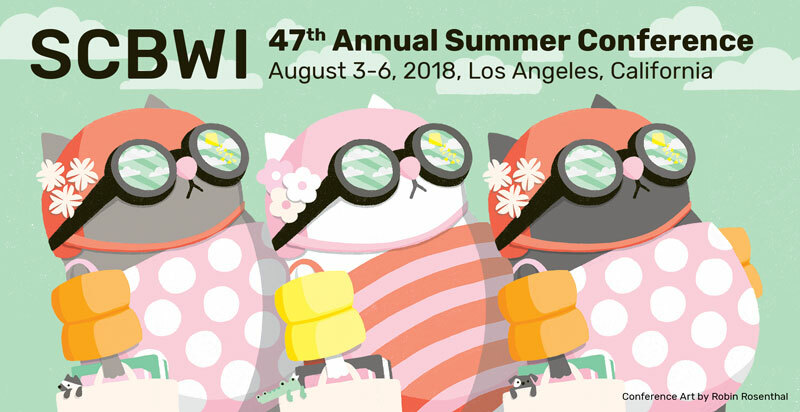 If you are unsure about anything for the manuscript consultation, please call Kim Turrisi (323-782-1010) or email her at kimturrisi@scbwi.org. 1.) You must register for the Conference before you submit your manuscript. PRINT OUT a copy of your confirmation e-mail or the registration page once you complete your registration and include it with your manuscript. Due to the number of manuscripts we receive, no in-person office drop-offs or electronic submissions will be accepted. 3.) Your manuscript must ARRIVE in our Los Angeles office ON or BEFORE Tuesday, May 15, 2018. Manuscripts received after that day cannot be accepted. 4.) Format ALL manuscripts in a 12-point Times New Roman or Arial font. More formatting questions? Read From Keyboard to Printed Page. PLEASE DO NOT STAPLE YOUR PAGES. 5.) ALL submissions must include a title page with your contact information and the genre of your manuscript (YA, MG, Picture Book, Chapter Book or NF) in the upper left-hand corner. Please note, it must be only one genre, there is no MG/YA per publishing guidelines. If you are represented by an agent, please note that on the title page as well. The title page does NOT count as one of your ten pages. 6.) The name on your manuscript MUST match the name you registered under for the Conference, even if you write under a pseudonym. 7.) For picture books and poetry: submit up to TEN (10) pages of ONE picture book manuscript regardless of the page count. No synopsis is needed. Please do not submit a dummy book, photos, or illustrations; however, feel free to bring them to the consultation. 9.) If you have had a critique at a previous conference, please add that information (who the reviewer was) on a Post-It note so we can avoid scheduling you with someone you’ve already met with. Simply register by the deadline (May 15) and bring your portfolio along with you to the Conference. We will let you know the exact date and time of your consultation when you pick up your registration packet on Friday, August 3rd. Receive direction, advice, and strategies for getting the most out of social media from consultant, Greg Pincus. Greg will look at what you’re doing (and not doing) and discuss how social media can help with your marketing goals. Required in advance: links to your site/blog/Twitter/Facebook/whatever-exists-already and answers to a short questionaire that will be emailed to you after you register. You’ll receive a write up of ideas and suggestions and a clear way to follow up on anything that is covered during the consultation. Simply register by the deadline (May 15).